William Grassie is an interdisciplinary scholar, nonprofit entrepreneur, social activist, accomplished author, and organizational consultant. He loves the creative side and intellectual challenges of strategic planning and applied technology, branding and storytelling, advertising and marketing, event staging and project management. He reads, he listens, he writes, he speaks, he computes. Whether at a F500 company, an academic conference, a living room salon, or an interfaith gathering, Billy will engage with your audiences and teams with surprising insights at the intersections of multiple perspectives, diverse expertise, and fascinating life experiences. William Grassie received a bachelor degree in political science from Middlebury College, and then worked for ten years on nuclear disarmament, citizen diplomacy, community organizing, and sustainability issues in Washington, D.C, Jerusalem, Philadelphia, and West Berlin. He studied comparative religion and philosophy of science at Temple University, where he wrote a dissertation entitled Reinventing Nature: Science Narratives as Myths for an Endangered Planet (1994). Grassie continued at Temple for five more years as an assistant professor in the Intellectual Heritage Program. He has held visiting positions at the University of Pennsylvania, Swarthmore College, Pendle Hill, and City College of New York. 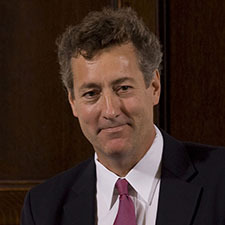 A recipient of academic awards and grants from the American Friends Service Committee, the Roothbert Fellowship, and the John Templeton Foundation, William Grassie also served as a Senior Fulbright Fellow in the Department of Buddhist Studies at the University of Peradeniya in Kandy, Sri Lanka in 2007–2008. He was the founding director of the Metanexus Institute, which promotes scientifically rigorous and philosophically open-ended exploration of foundational questions. Metanexus has worked with partners at some 400 universities in 45 countries, organized a dozen highly-acclaimed international conferences, and published an online journal—metanexus.net.